FOBOKO is a free eBook (download) and self-publishing community. Authors can write, get help, publish, and promote their books; readers can browse the library and download eBooks to read from a variety of fiction and non-fiction categories. 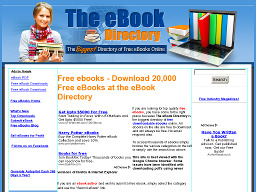 EbookDirectory.com An eBook information portal, offering the biggest and most comprehensive listing of free eBooks and texts online. Also includes links to ebook publishing resources, software and helpful articles on publishing your own ebooks. Zinepal.com Allows you to easily create ezines or eBooks from your content preferences simply by entering site, blog or RSS feed URLs. The result is a printable PDF compatible with the Amazon Kindle and other eBook readers. Print it, read it or e-mail it. 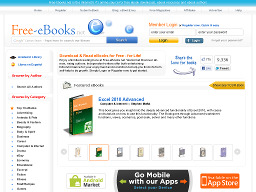 Free-Ebooks.net One of the web's top online sources for ebook downloads, ebook resources and ebook authors. The site offers a huge selection of ebooks sorted into 45+ categories and provided in 4 different formats (txt, pdf, Mobi, and ePub). 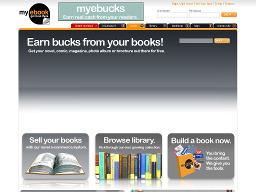 MyEbook.com An online ebook platform that revolutionizes the way ebook content is created, published and shared online. Can be used for any personal or corporate publication. Provides a simple user interface with a powerful, browser-based, builder software and a slick reader environment that makes it possible for anyone to upload or create simple or complex page designs and covers and publish a book with a single button. Embed or link to videos, audio, documents, images and flash files to make books fully interactive. Free-eBooks.net Specialize in collecting free fiction, tutorial, marketing and business eBooks as well as resources for promoting eBooks. Also has links to useful resources for eBook Publishers.